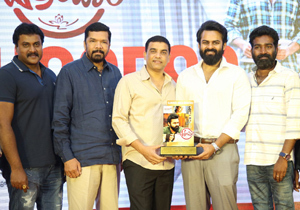 Flixelloid acquires overseas rights of "Mithai"
Flixelloid, a US based film distribution company has acquired the overseas distribution rights of the upcoming Telgu film - "Mithai" produced under the banner of Red Ants Cinema Pvt. Ltd.
Written-directed by debutant Prashant Kumar and Produced by Dr. Prabhat Kumar, "Mithai" is a dark comedy starring Priyadarshi, Rahul Ramakrishna, Kamal Kamaraju, Ravi Varma, Bhushan Kalyan, Arsha, Adithi Myakal, Swetha Varma and many more. From the time the first look poster was released alongside the website - www.mithaithefilm.com, by Vijay Deverkonda, Sandeep Reddy Vanga and Kranthi Madhav the film touted as dark, surreal comedy has been grabbing eyeballs with quite a buzz on social media circuits. 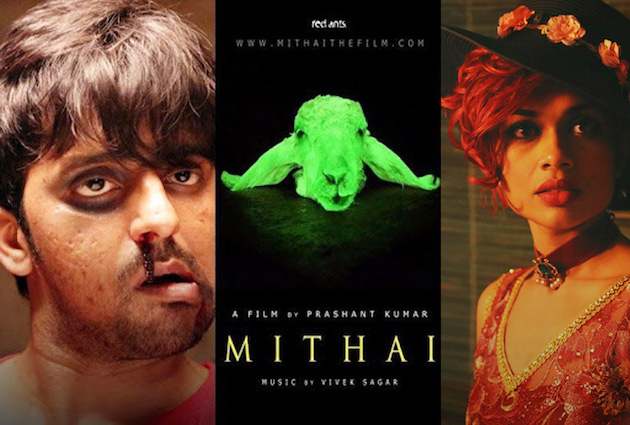 Where mostly heroes walk through with leading ladies on the first look, "Mithai" does something unusual by releasing a poster of fluorescent green goat head with the film website address inscribed on it. That left the audience guessing what the green goat is doing in a film that is titled "Mithai" (sweet). Giving information about the deal, Prashant Kumar said, "Flixelloid is committed to bring content driven movies to cinema lovers across the world. We are happy that Flixelloid is backing our kind of cinema and we are sure they would provide the ideal platform for film's release across the world." It is heartening that Flixelloid has come forwards with a great vision to promote content-driven cinema worldwide", added Prashant. This deal has given the sole authority to Flixelloid for the theatrical release of whole overseas (except India). Slated to be released in August, the music of "Mithai" has been composed by Vivek Sagar, while Garry BH is handling the edit and Ravivarman Neelamegam is behind some mind blowing visuals as cinematographer. When asked about the release date, Prashant Kumar said he is looking forward to August first week or second week window. An Epic Biopic Named "MAHANATI"
"Mahanati US Premieres on May 8"